Natco Sofosbuvir 400mg tablet is an antiviral drug which is used in combination with other drugs for treatment of Hepatitis C Virus (HCV) infection. Compared to previous treatments, sofosbuvir based regimens provide a higher cure rate, fewer side effects, and a two- to four-fold reduced duration of therapy. Hepcinat Sofosbuvir 400mg Tablet containing the active ingredient sofosbuvir is a nucleotide polymerase inhibitor type of antiviral medication used to treat Hepatitis C. The medication must be used in combination with other antiviral medicines to reduce the amount of hepatitis C virus (HCV) in the body to help the liver recover. Chronic hepatitis C infections can cause serious liver problems such as liver cancer or cirrhosis (scarring). Patients with HIV or liver cancer and are going to have a liver transplant may also use the drug to decrease the risk of reinfection after the transplant. 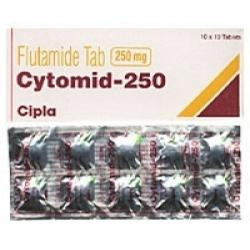 We are engaged in processing a large variety of high grade Cytomid Tablets. These tablets are formulated using high grade chemical compounds in accurate composition that ensure their reliability and the longer shelf life. Each product offered by us is well checked and analyzed on certain parameters and set industry norms. Our quality controllers sternly follow the strict quality management in analyzing these tablets. We are engaged in processing a wide gamut of Duovir-N Tablets that are formulated using premium quality ingredients and sophisticated technologies that ensure their reliability and longer shelf life. Apart from this, our range is developed under the astute guidance and the leadership of industry heads. 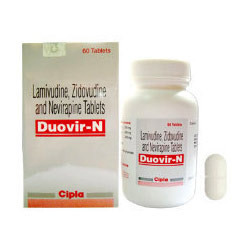 Duovir-N Tablets are indicated for the treatment of HIV infection, once patients have been stabilized on the maintenance regimen of nevirapine 200 mg b.i.d., and have demonstrated adequate tolerability to nevirapine. Looking for Sofosbuvir 400mg Tablet ?